What were the previous recommendations for introducing allergens such as peanuts foods to infants and why did the guidelines change? Where there differences in the UK and the US? Clinical practice guidelines from the United Kingdom in 1998 and from the United States in 2000 recommended the exclu­sion of allergenic foods from the diets of infants at high risk for allergy and from the diets of their mothers during pregnancy and lactation. These guidelines were later revised in the UK (2008) and US (2010) to indicate that there was insufficient evidence to support delaying the introduction of potentially allergenic foods beyond 4-6 months of age, even in infants at risk of developing allergic disease. Now that the results of a number of intervention trials including The LEAP Study have been published there is evidence to support new guidance about allergy prevention. Why were the guidelines to wait to introduce potentially allergenic foods? What was the rationale? The guidelines were developed in response to increasing rates of peanut allergy in children and a desire to prevent further allergy development. There was some research suggesting that exposure to peanut during pregnancy and/or breastfeeding may be causing babies to become sensitized (make IgE antibodies) to peanut. It was thought that if mothers avoided eating peanut and children were not exposed to it until they were older they may be more likely to avoid becoming sensitized to peanut. This would also reduce the risk of a potentially severe reaction in a young infant. How did the LEAP results change the thinking about introducing peanut foods? The LEAP Study is a randomized controlled trial designed and conducted by Professor Gideon Lack and the Immune Tolerant Network (ITN) to determine the best strategy to prevent peanut allergy in young children. 640 children between 4 and 11 months of age who were identified as high risk for peanut allergy, based on existing egg allergy and/or severe eczema, were enrolled in the study. Half were randomized to introduce peanut in infancy and to continue to eat it three times per week until 5 years of age. The other half were asked to avoid eating peanut for the same period. At the end of the study the researchers measured the proportion of each group that developed peanut allergy and found that peanut consumption worked best for preventing peanut allergy. Here in the US we have the new NIAID guidelines, which I am sure you are familiar with, to help guide healthcare professionals and consumers on early introduction of peanut foods. What are the most important key takeaways from the guidelines? The key messages relate to how health care practitioners should evaluate an infant’s risk for developing peanut allergy and recommendations about when and how to safely introduce peanut to those infants. It is advised that infants with a history of severe eczema or an egg allergy introduce peanut-containing foods between 4-6 months of age, up to 11 months of age. Prior allergy testing of these infants is strongly encouraged and for those considered at the highest risk of an allergic reaction, supervision of the first feeding of peanut in the health care provider’s office is recommended. According to the guidelines, infants who are at lower risk for developing peanut allergy, on the basis of having mild to moderate eczema in infancy should be advised to introduce peanut-containing foods from 6 months of age. What would you tell a parent hesitant about implementing early introduction of peanut foods? It depends on why they are feeling hesitant. Sometimes it is because they are worried that introducing peanut foods may cause the allergy based on previous advice to avoid peanut. If their baby has the signs of being at high risk for developing peanut allergy (severe eczema or an egg allergy) then I would advise that the likelihood of a peanut allergy developing is around 20% while the strategy of introducing and continuing to regularly eat peanut foods reduces the chances of developing peanut allergy by 80%. If they are concerned that their baby may have an allergic reaction then I would reassure them that this is why the NIAID guidelines recommend allergy testing or supervised feeding for some babies. 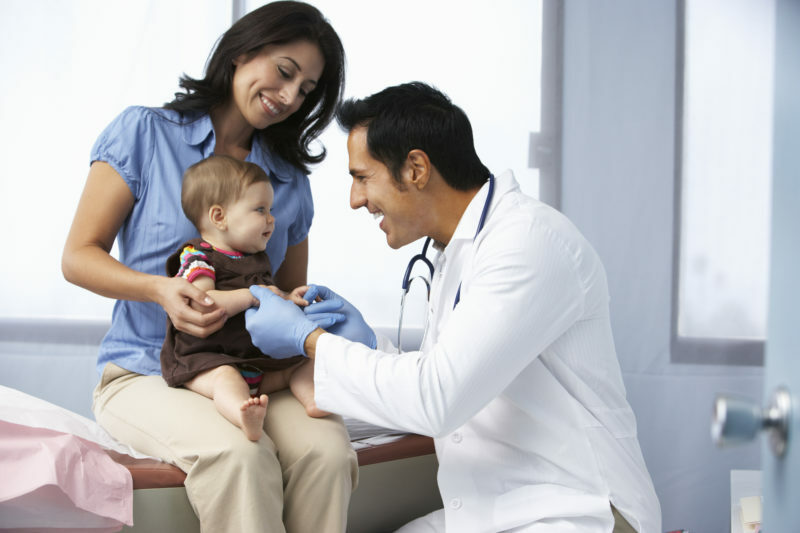 If their baby has had negative allergy testing and they do not delay peanut introduction, it is unlikely that their baby will have an allergic reaction. If their baby has had low positive allergy tests, their doctor will advise them as to whether peanut can be introduced at home or this should happen in a supervised clinical setting. If they are unsure about which foods to feed or how to start, I would point them towards resources section of the NIAID guidelines (Appendix F. Table 2). Suitable options that provide the amount that was consumed during the LEAP Study include: 2 level teaspoons of peanut butter or 17g of Bamba (other peanut puff products are now available). These portions should be fed three times per week. The peanut foods can be added to fruit or vegetable purees, oat cereals or mixed to a more liquid texture for younger babies with some warm water or milk. Peanut-containing foods are a regular part of a baby’s diet in Israel. Our research on the LEAP Study found that the participants were able to eat peanut foods three times a week from an early age and continue until aged 5 years without it affecting their growth or overall nutrition. With the recommended precautions in place this is an achievable and sustainable practice which will prevent peanut allergy for many and can form part of a nutritious healthy diet. Research is continuing to investigate whether early feeding of other foods could be an effective strategy for the prevention of other food allergies. Learn more about introducing peanut foods early to prevent peanut allergies, including simple recipes, links to the research, and additional information, by clicking here.